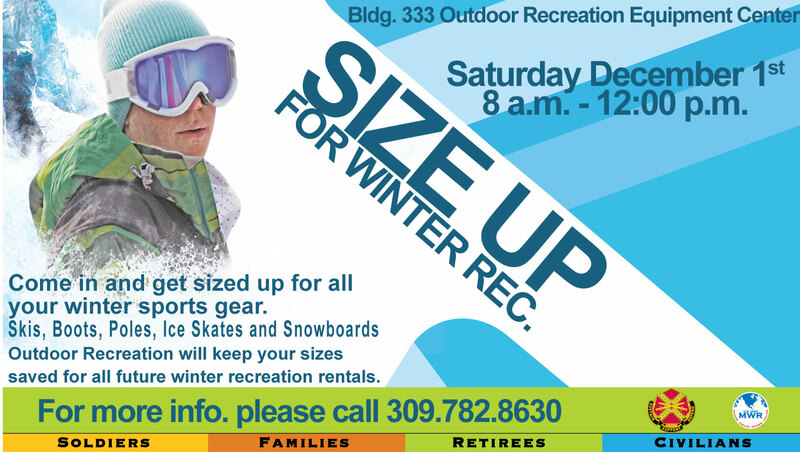 Date: Dec 1 2018, 8 a.m. - 12 p.m.
Come in and get fitted for all your winter sports gear like skis, boots, poles, ice skates, snowshoes, and snowboards. Then Outdoor Rec. will keep your sizes on file to speed up the rental process the next time you come in for gear. For more info, call +1 (309) 782-8630.